An online shopping cart is software that provides the necessary features for customers to make a retail purchase from your website. Some shopping cart software is quite simplistic and only adds the bare essentials, like products and a checkout page. Other shopping cart software goes the extra mile and includes features for you to provide your customers with an improved shopping experience. The best shopping cart software comes with other eCommerce tools for running your business. Much like a cash register in a brick-and-mortar store, shopping cart software comprises the customer-facing side and the employee- or business-facing side. The customer-facing component is often called the frontend or the storefront and consists of the online store that customers browse. The administration side is usually called the backend, the admin, the dashboard, or the control panel. Together, the frontend and the backend of the software work to allow customers to place orders and you to process those orders. As you can see from these examples, the more advanced shopping cart software goes far beyond the simple "checkout" functionality and becomes more like a centralized software-based hub for running your entire business. When a shopping cart contains these extra business features, it's often called an eCommerce platform rather than simply a shopping cart, although many people use these terms interchangeably. Some shopping cart software must be downloaded and then installed on your own web server. This often requires purchasing a license, which usually entitles you to software updates and support for a limited time (often one year). Other downloadable shopping cart software is open-source, which means the software itself is free. However, this doesn't negate the costs of web hosting — and free, open-source shopping cart software has another serious downside. Its open-source nature means the software can be edited by an entire community of developers, so users often struggle to get knowledgeable support. To truly make the best of an open-source eCommerce platform, your business would need a developer to keep it all running smoothly. Hosted shopping cart software is the best solution for a small business, and for any business seeking to add a shopping cart to an existing website. 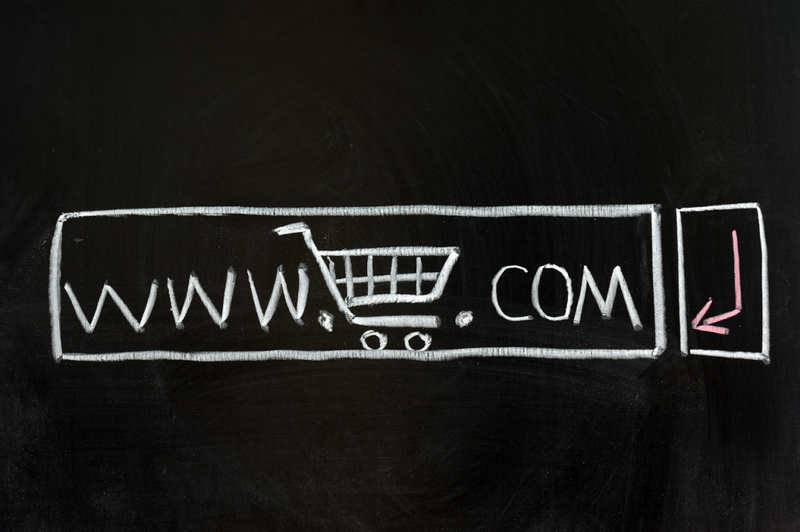 Hosted shopping carts are a complete package that includes web hosting with the eCommerce software already installed. With a hosted solution, you don't need to download and install anything — instead, you simply log into your control panel with your web browser. The shopping cart software provider handles software updates and other technical aspects of the platform. Instead of paying for web hosting and/or a software license, you pay a monthly or annual fee for one of the plans offered by the provider. This is referred to as the Software-as-a-Service (SaaS) model. I created my website with a site builder. Do I already have a shopping cart? Website builders are a fun and easy way to create a website, as opposed to the old days of web design — when everything was coded by hand and site owners needed to contact their developer to make even the simplest of updates. The "official" name for a website builder is a content management system (CMS). As the name would suggest, a CMS is a system that allows you to manage content on your website without having to touch the code directly. Content management systems opened up a whole world of possibilities for people who wanted to create a website without needing to understand HTML, CSS, or other coding languages. 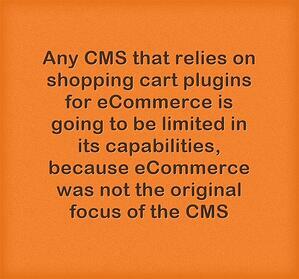 However, shopping cart functionality is not built into most CMS software. Some CMS site builders do have eCommerce plugins that can be added, but these plugins are often not sufficient for running your business. Since most CMS site builders are primarily made to create general, informational websites, any eCommerce features are essentially an afterthought and only come with basic features. A good example of a CMS with an available shopping cart plugin is WordPress, which currently powers millions of websites. WordPress allows its users to create a whole website and blog without touching a line of code. New website pages and blog posts can be created in a few minutes within the control panel, and web design can be accomplished quickly by installing the preferred theme or template. Users can add extra functionality to their WordPress site by installing plugins. By far, the most popular shopping cart plugin for WordPress is WooCommerce. However, this setup is still not the ideal solution for a website owner looking to sell online successfully. The simple fact is that any CMS that relies on shopping cart plugins for eCommerce is going to be limited in its capabilities, because eCommerce was not the original focus of the CMS. No plugin can change the fact that the CMS was not originally developed for that purpose, and it simply won't work as well as a dedicated eCommerce platform. Any order management, reporting, or other tools will be limited by the structure of the original CMS. To ensure your success selling online, you should use a dedicated eCommerce platform for your online store. A dedicated shopping cart platform was built from the beginning with eCommerce in mind, and will always have that advantage over a shopping cart plugin for a non-eCommerce CMS. Many eCommerce platforms actually include a CMS that lets you build an entire website around your online store, which is extremely handy if your business doesn't yet have a website at all. If you already do have a website, you can still use this type of eCommerce platform to build your store and then connect the two together. What's the easiest way to add a shopping cart to my website? 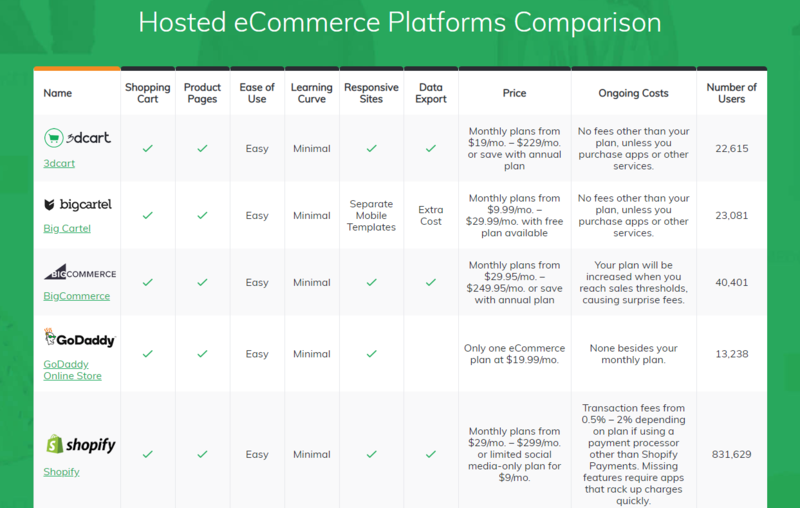 If you want access to the most helpful tools for selling online and running your business, without the need to understand programming or hire a developer, your best choice is to use a hosted SaaS eCommerce platform to build an online store. By doing it this way, you won't have to alter your original website beyond adding a link to access the store section and you won't need to pay thousands of dollars for a software license. With an SaaS solution, you simply visit the provider's website, choose a plan, and start. 3dcart is the SaaS eCommerce solution that offers the most value for your money, with the highest number of essential eCommerce features included in each plan. Plus, 3dcart is the most versatile platform for getting your products onto multiple marketplaces — including adding them to your existing website with minimal editing. 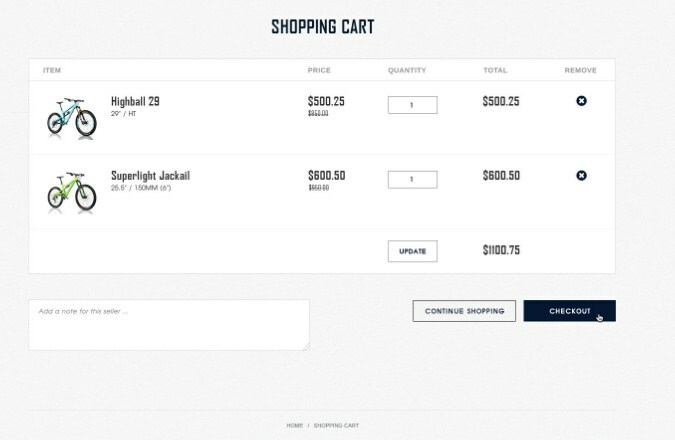 While you can create a website with shopping cart functionality directly built-in, 3dcart can be used to add ecommerce to your existing website. Build your online store by choosing a theme, adding products, and setting up your categories. Don't forget to set up shipping and tax calculations too. Once your online store is set up, you can start deciding how you want to connect it to your website. One recommended method is to locate your online store at a subdomain of your main website; for example, if your website is www.yoursite.com, your online store could be located at store.yoursite.com. To do this, you'd need to set up the subdomain with your domain registrar and then direct it to your online store. Do not forget to link your main website and your online store together so your customers can navigate between them. Add a link to your store's URL on your main website's menu and vice versa. You can create a Buy Button for any product on your 3dcart store, and it will generate code for an embeddable widget that includes the product name, image, price, and more. You can also choose the text for the button, e.g. "Buy Now" or "Add to Cart." Customers who click these buttons will be brought to your 3dcart store to complete the purchase. You can also link directly to your product pages by adding inline links to the text on your website as you see fit. This can also help your products rank better on search engines, as long as you use anchor text that includes the right keywords for the product in question. The potential of your online store should never be limited by the capabilities of your current website platform, but that doesn't mean you need to replace your entire website. With a full-fledged eCommerce platform like 3dcart, you can build a complete online store that works alongside your website and connect the two with ease. Plus, you'll have the advantage of using a dedicated eCommerce solution and all the essential tools you need to handle orders and market to your customers. No matter what platform your website currently uses, 3dcart is your best bet for selling online.